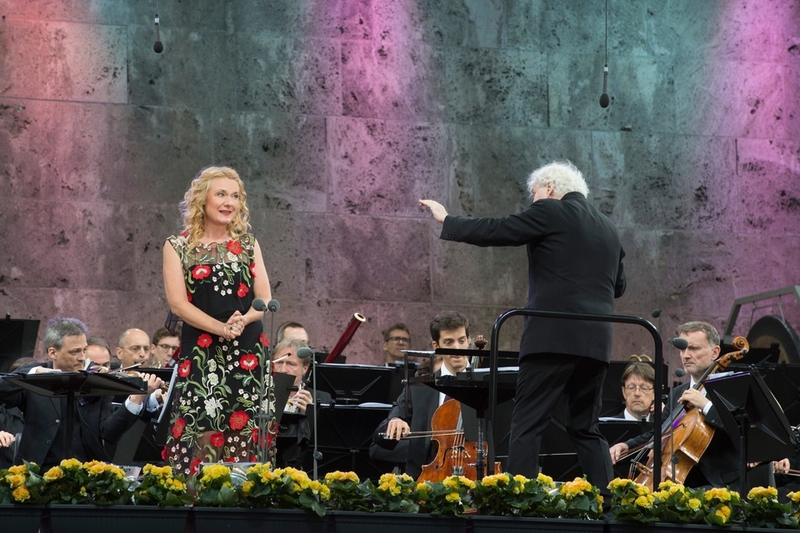 With this concert from the Waldbühne (24/06/2018), the Berliner Philharmoniker not only bring the concert season to a close, but also say farewell to Simon Rattle in his capacity as the orchestra’s chief conductor. This Rattle’s last concert includes the Chants d’Auvergne by Joseph Canteloube sung here by Magdalena. It is a collection of songs in which the French composer and folk music researcher arranged the songs of the Auvergne for voice and orchestra. Magdalena appears also in Monteverdi´s lovely madrigal Si dolce e´l tormento.